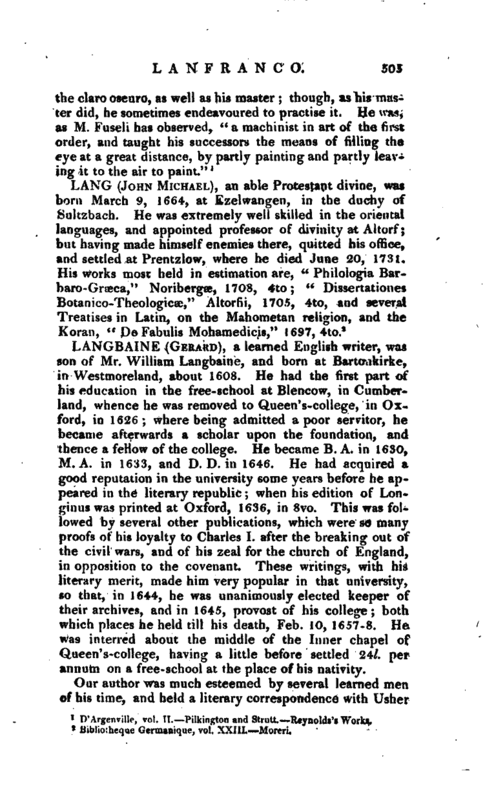 , a learned English writer, was son of Mr. William Langbaine, and born at Bartcukirke-, in Westmoreland, about 1608. 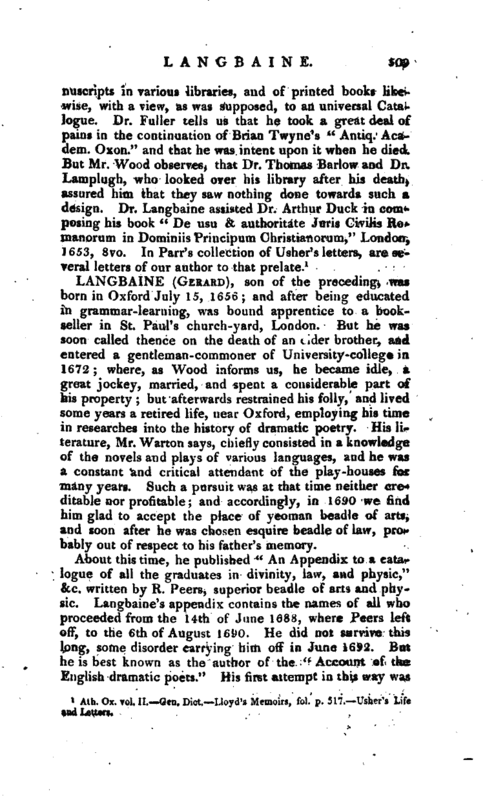 He had the first part of his education in the free-school at Blencow, in Cumberland, whence he was removed to Queers-college, in Oxford, in 1626; where being admitted a poor servitor, he became afterwards a scholar upon the foundation, and thence a fellow of the college. He became B. A. in 1630, M. A. in 1633, and D. D. in 1646. He had acquired a good reputation in the university some years before he appeared in the literary republic; when his edition of Longinus was printed at Oxford, 1636, in 8vo. This was followed by several other publications, which were so many proofs of his loyalty to Charles I. after the breaking out of the civil wars, and of his zeal for the church of England, in opposition to the covenant. 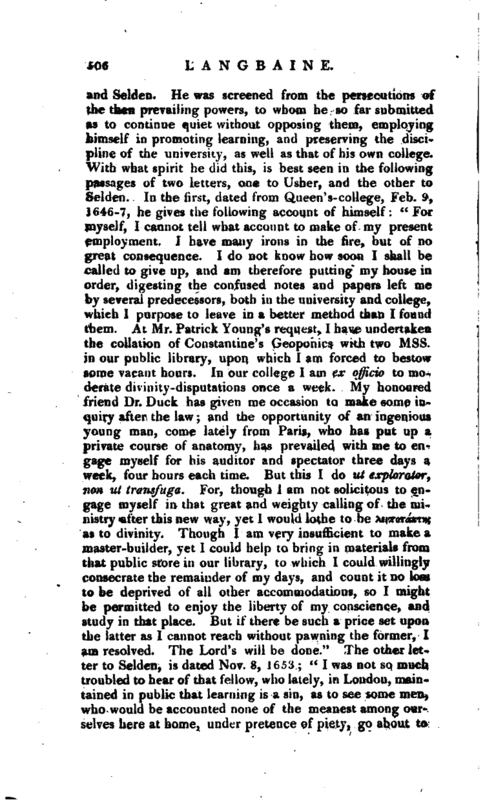 These writings, with his literary merit., made him very popular in that university, so that, in 1644, he was unanimously elected keeper of their archives, and in 1645, provost of his college; both which places he held till his death, Feb. 10, 1657-8. He was interred about the middle of the Inner chapel of dueen’s-college, having a little before settled 24l. per annum on a free-school at the place of his nativity. Ath. 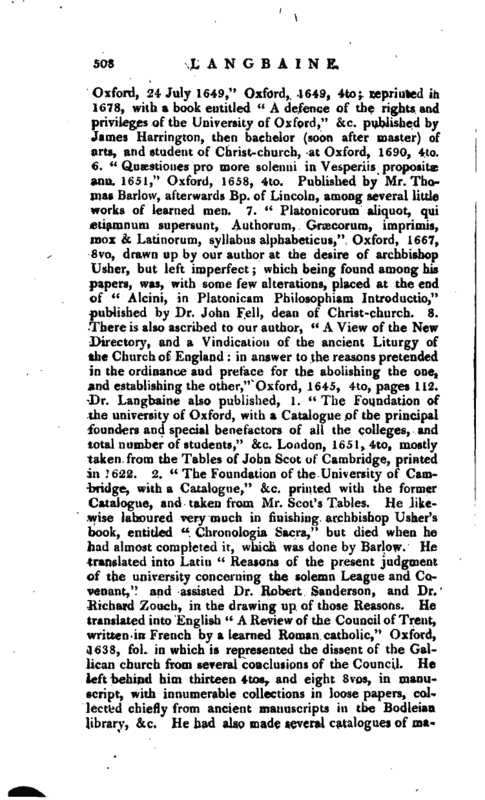 Ox, vol, II, Gen. Dict. 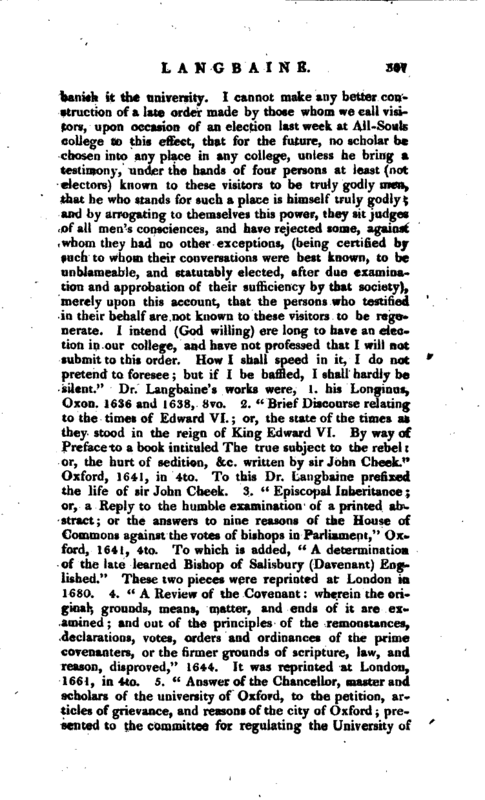 Lloyd’s Memoirs, fol. p. 517.—Usher’s Life and Letters.